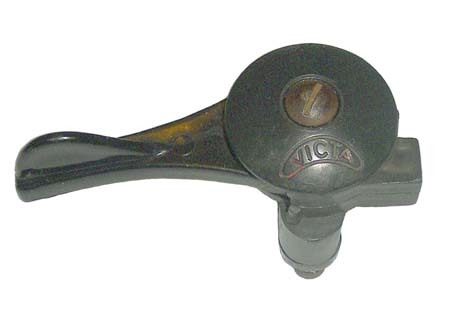 The Model 2 used the Victa 125cc engine, with the Victa 125cc stamped on front of crank case. The fins on the block and the head were slightly thinner that those on model 1. Another difference was the length of the shaft on the crankcase which connected the engine to the base, notice the spacer used. 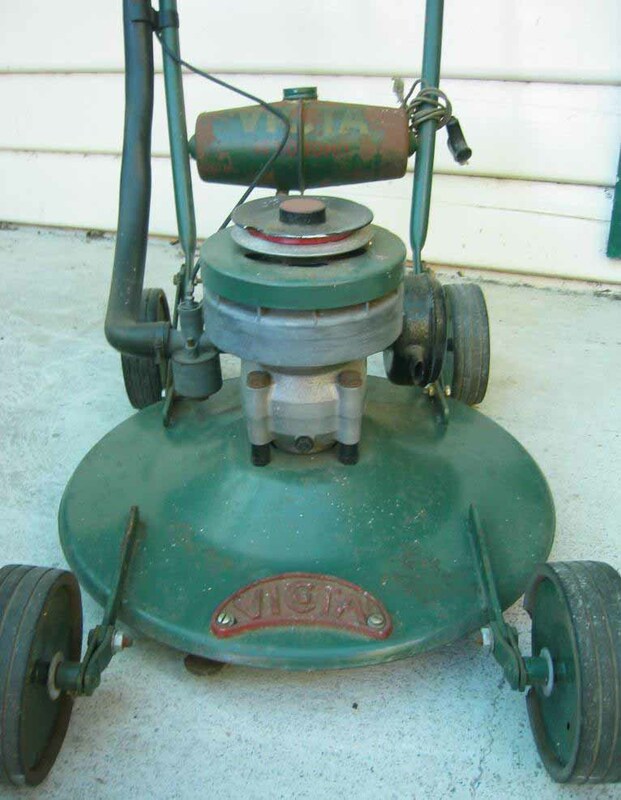 The base was altered slightly, it came out with Tin wheels and later models had the plastic wheels. It also used the ESS 4 witches hat pulley and a snorkel with the small air filter on top. 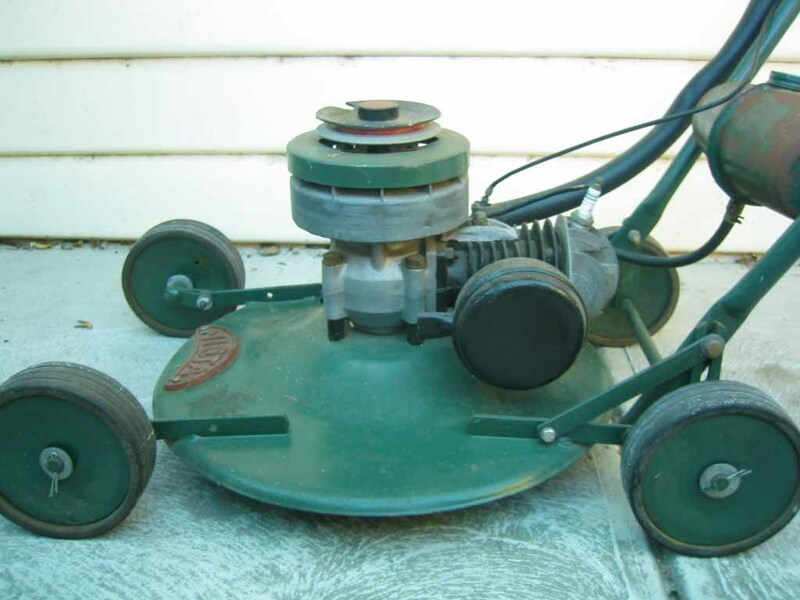 It had a black plastic throttle lever, but some early ones had the same throttle lever as the model 1.
this die-cast "green" plastic throttle, which was also replaced in sep 1956 by a black Rubberoid control.